PLEASE NOTE: the upgrade information contained below describes updating AEDs to the AHA 2005 Guidelines (released on 11/28/05). (released 10/18/10), please click here. Yes, all ZOLL AED Plus units can be upgraded. 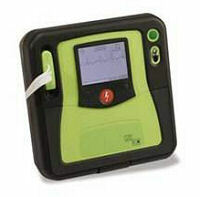 use software to make the AED compliant. The AHA 2010 Upgrade Kit would now be purchased to upgrade your device - for more details, click here. Yes, all ZOLL AED Pro's can be upgraded. 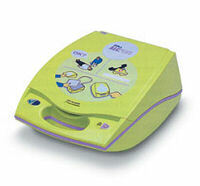 then use software to make the AED compliant. Buy one now at the AED Superstore. Yes, all ZOLL Trainers can be upgraded. to the factory to be upgraded. The cost to upgrade the Trainer can be seen here. can be ordered by visiting VR Industries. please contact ZOLL directly at (800) 348-9011.
is not responsible for any errors, omissions or incorrect information posted to this site. All world rights reserved �2006-2010. Unauthorized duplication is unlawful.